Pupils and staff at a primary school in Hull that had been threatened with closure have been given an early Christmas present by city officials. St Nicholas Primary School had faced closure when owners the Sailors' Families Society moved to sell the Newland estate where the school stood. Initially Hull City Council said it could not take on the Cottingham Road school and adjoining Stratten Hall. After detailed talks a deal has been agreed between the council and Society. A joint statement revealed that land from the estate had now been made available to form a sports field at the site and the listed Stratten Hall would be put to an alternative use by the city council. A spokesman for the Sailors' Families Society said they were now liaising with city planners for the subsequent sale of the site to enable the society to achieve "best value" for the land. 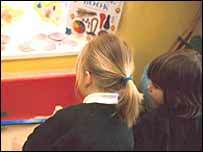 The statement said: "Both parties are confident that the outcome of these negotiations will enable a clear proposal to be put before the Council's Cabinet... which should secure the future of St Nicholas Primary School."